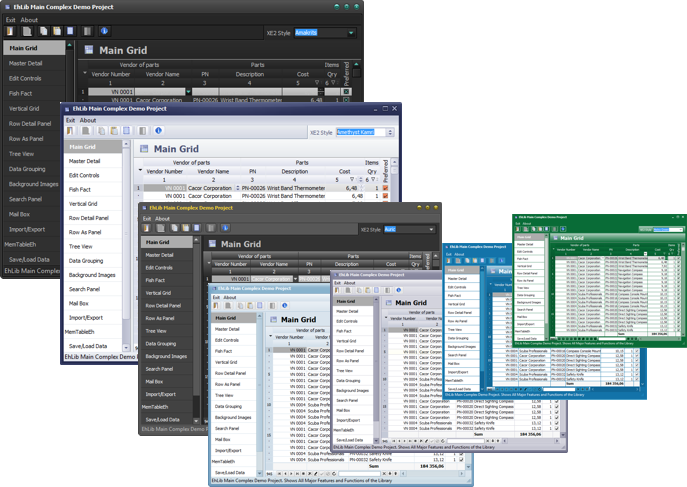 It contains components and classes for Borland Delphi 7 вЂ“ 2006, CodeGear Delphi 2007, RAD Studio 2009, Embarcadero RAD Studio 2010, XE – XE10.2, Lazarus (Win32), intended to increase capacity of the client part of database application in part of interaction with applications user. Time saving for developer display your data in the right format without writing software code. High speed of applications development involves a special optimization stage of speed for each component of library.